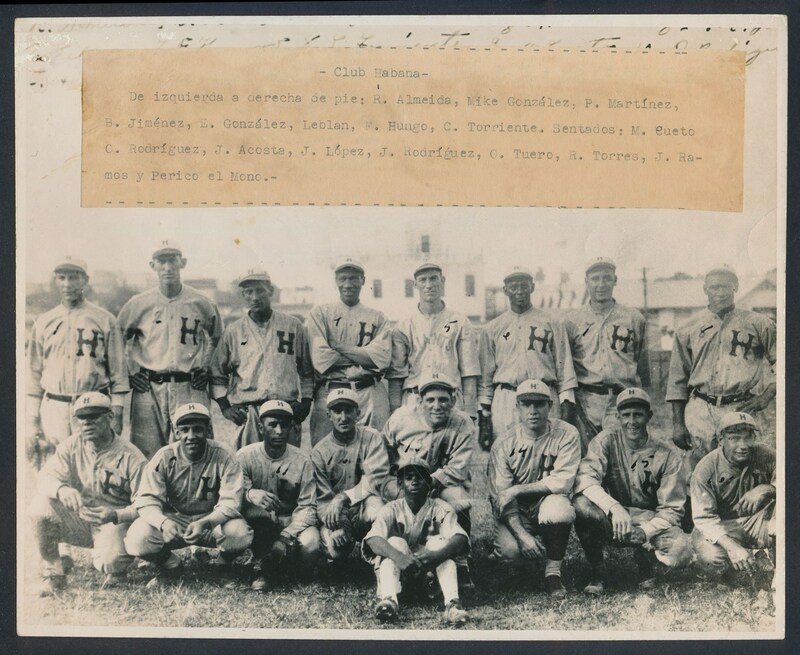 Original c. 1920-21 photograph of the Havana club of the Cuban Winter League in full uniform. Clearly aged and in nice shape, the photo includes Cristobal Torriente who was one of the top sluggers in baseball history as well as tragic pitcher Jose Leblanc who was murdered at a game in 1922 when he was struck with a bat! Also included in the photo are a bevy of other stars and pioneers like Rafael Almeida, Mike Gonzalez and others. 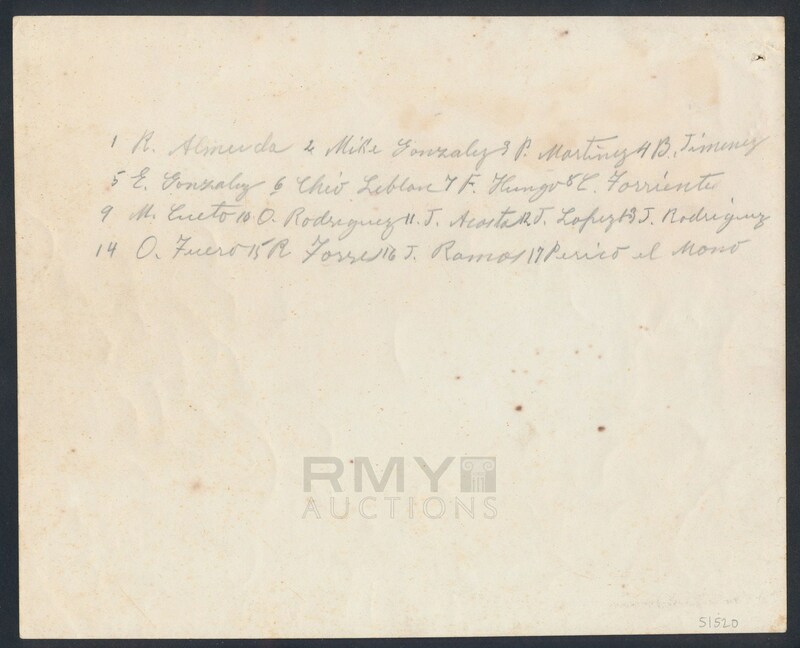 There is a complete pencil identification on the back and a paper glued to the front with names as well. This is the only specimen of this team photo known to exist and it presents well for the age. We feel this is a period silver gelatin photograph from a Cuban newspaper but it was developed off a duplicate negative. One of the few images of Torriente that actually dates to his lifetime known in the hobby.